I have always been adverse to the well-lighted Cartesian white walls of the gallery, in which the tyranny of the cube defines both the dimensions and the experience of the space. I come from the world of performance and music theater where the space is essentially erased in order to create something entirely new, something that springs from the work itself, the space no longer existing in its own right. In other words, you eliminate the physical dimensions of the space and and treat it as a canvas: the artwork incorporates the space and defines its relation to the viewer. That, in essence is what theater has always aspired to do, but not the physical art object. 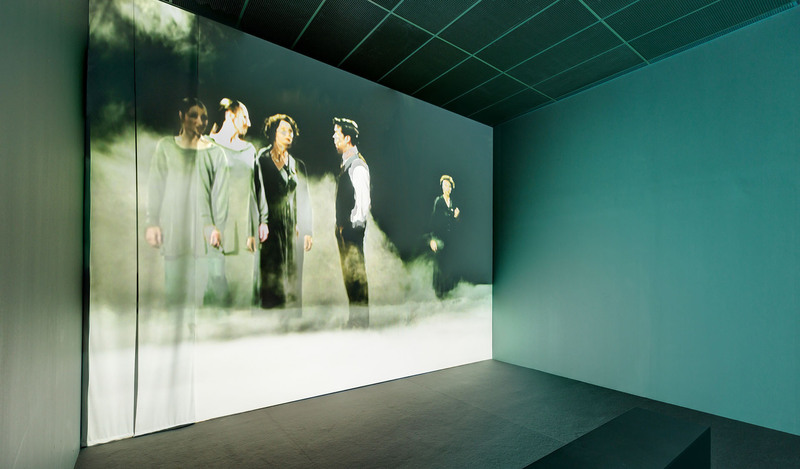 So in Ute Meta Bauer’s Theatrical Fields, she has selected works that embrace the theatrical conventions of space, time, character, costume, script, etc., and allow these elements to play out in the form of installation within the re-constituted exhibition space of the gallery. Not that this is such an entirely new idea, installation as a genre has been a vehicle for artists re-thinking the spatial experience of the gallery for nearly a century, most notably in the seminal work by László Moholy-Nagy: Light Space Modulator from 1930. Moholy-Nagy drew from the experimentation of the Bauhaus theater laboratory, where he was on the faculty, influenced by colleagues Oskar Schlemmer and Walter Gropius. 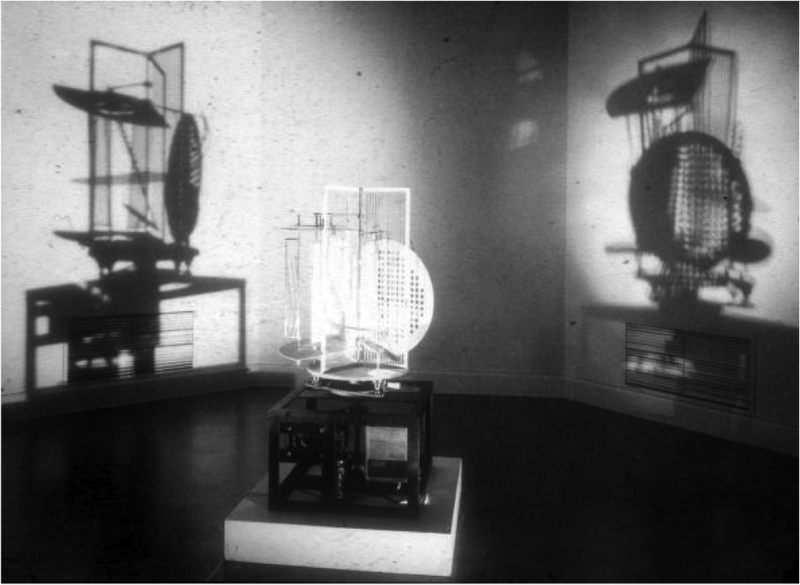 Moholoy-Nagy not only created one of the first kinetic installations, but one of the first examples of electronic art: a sculptural metal object turns slowly as its illumination casts shadow play on the walls of the space, creating a haunting experience of contrasted light much like the photograms he invented during the same period. The physical object is no longer the focus of the work, but rather its projected illumination. The idea of “expanded exhibition” as Ute Meta Bauer calls it, brings into sharp relief the varied strategies that delineate the presentation of the physical object vs. the projected image. 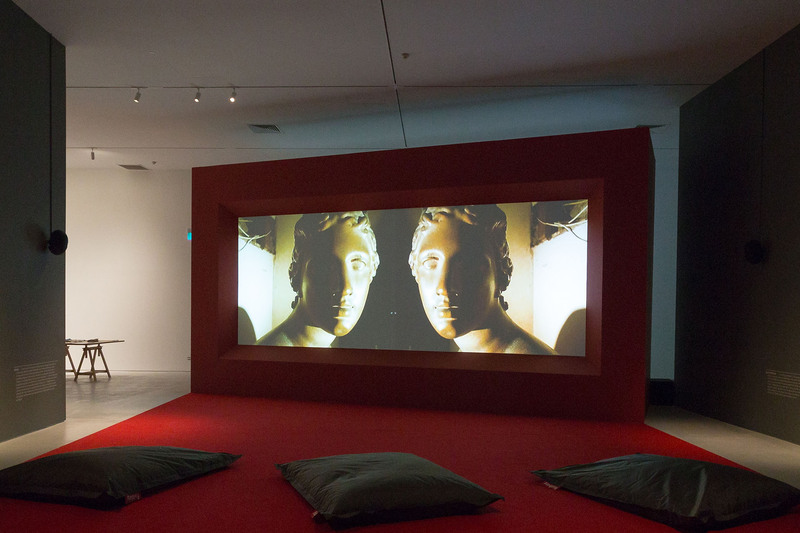 However, as new media forms increasingly infiltrate museum spaces – rarely designed to accommodate projection and sound – a dialogue surrounding the opposing forces of the virtual and the real seems particularly relevant. At a certain point, let us hope, there will no longer be any demarcation between the two but rather a free and open journey between stage and exhibition.